Kick off your visit on the 8th (Thu): explore the striking landscape of Pyha-Luosto National Park. Here are some ideas for day two: look for all kinds of wild species at Wildlife Areas, then identify plant and animal life at Kopara Reindeer Park, and then explore and take pictures at Amethyst Mine Lapland. For reviews, other places to visit, ratings, and tourist information, refer to the Pyhatunturi trip planner . Brussels, Belgium to Pyhatunturi is an approximately 10-hour flight. You can also drive. The time zone changes from Central European Time (CET) to Eastern European Time (EET), which is usually a 1 hour difference. Prepare for slightly colder weather when traveling from Brussels in August: high temperatures in Pyhatunturi hover around 20°C and lows are around 9°C. Finish your sightseeing early on the 9th (Fri) to allow enough time to travel to Saariselka. 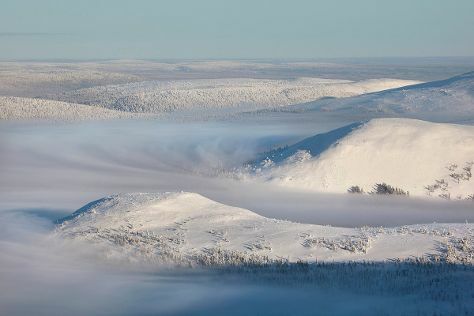 Take a break from the city and head to Urho Kekkonen National Park and Inari Reindeerfarm. Change things up with these side-trips from Saariselka: Inari (Reindeer Farm Petri Mattus, Siida, & more). On the 11th (Sun), spend an exhilarating day on the slopes at Saariselka Ski & Sport Resort. To find maps, ratings, and other tourist information, go to the Saariselka online tour planner . Drive from Pyhatunturi to Saariselka in 2.5 hours. In August, daytime highs in Saariselka are 19°C, while nighttime lows are 9°C. Finish up your sightseeing early on the 12th (Mon) so you can travel to Levi. On the 13th (Tue), ski along the peaceful trails at Levi Ski Resort. On your second day here, stop by Elan Ski Shop & Rental, then surround yourself with nature on a nature and wildlife tour, and then don't miss a visit to Giewont Husky Adventures. To find maps, reviews, traveler tips, and more tourist information, read Levi travel planner . You can do a combination of bus and flight from Saariselka to Levi in 3 hours. Other options are to drive; or take a bus. In August, plan for daily highs up to 19°C, and evening lows to 9°C. Finish up your sightseeing early on the 14th (Wed) so you can go by car to Akaslompolo. Kick off your visit on the 15th (Thu): get outside with Scandinavian Adventures and then get outside with Seven Fells Up. 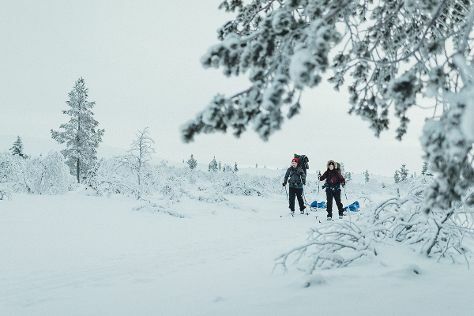 On your second day here, ski along the peaceful trails at Pallas-Yllastunturi National Park. To find maps, ratings, and more tourist information, read our Akaslompolo trip website . Traveling by car from Levi to Akaslompolo takes 1.5 hours. Alternatively, you can take a bus. Expect a daytime high around 19°C in August, and nighttime lows around 9°C. Wrap up your sightseeing on the 16th (Fri) early enough to travel to Posio. Posio is a municipality of Finland. Start off your visit on the 17th (Sat): explore the wealth of natural beauty at Riisitunturi National Park. Here are some ideas for day two: take in the exciting artwork at Pentik Hill and then take in the dramatic natural features at Korouoma Canyon. For maps, more things to do, other places to visit, and more tourist information, read our Posio road trip site . You can drive from Akaslompolo to Posio in 4 hours. In August, daily temperatures in Posio can reach 19°C, while at night they dip to 10°C. 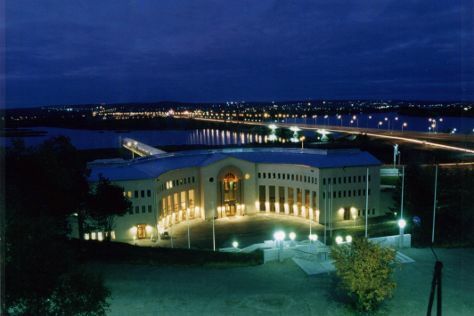 Wrap up your sightseeing on the 18th (Sun) early enough to travel to Rovaniemi. Get outdoors at Safaris and Syvasenvaara Fell. The adventure continues: get in on the family fun at Santa Claus Village, see Santa Claus Office, take in the architecture and atmosphere at Rovaniemi Church, and explore the different monuments and memorials at German Soldier s Cemetery. To find reviews, photos, ratings, and tourist information, you can read our Rovaniemi sightseeing planning app . You can drive from Posio to Rovaniemi in 2 hours. In August, plan for daily highs up to 20°C, and evening lows to 11°C. Wrap up your sightseeing on the 21st (Wed) to allow time to travel back home.